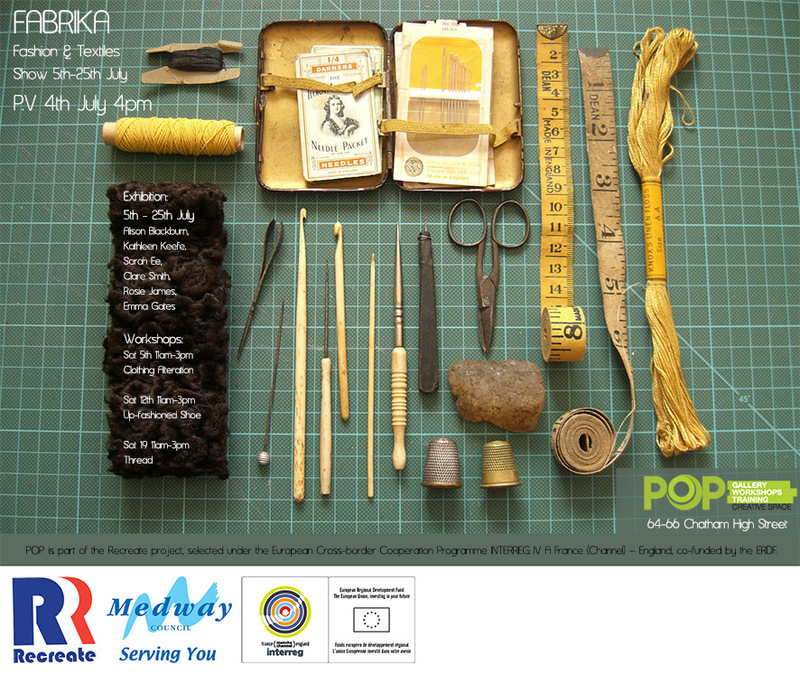 POP, a pop-up shop at 64 High Street, Chatham, is pleased to invite you to Fabrika, a fashion, textiles and jewellery exhibition. Private View 4th July 4pm. 5th of July – Alison will be holding a Clothing alteration open day, bring your unusable clothing to see if we can’t make it fit you or re-purpose it into something else. During the event Alison will alter four items of clothing, (some not so much but others dramatically.) So come back on the 25th to see what can be done with a item of clothing you like, but cannot wear. 12th of July – Kathy will be holding a shoe decoration day. Please bring your own shoes to be covered and some fabulous fabric to cover it with. £10 per student. 19th July – “Thread” drawing with Clare Smith and Rosie James. 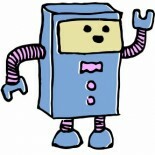 This entry was posted on 03/07/2014 by Creatabot in Creative and Art Events.